The former European Capital of Culture, Liverpool has re-emerged after years of decline to once again become one of the most dynamic and exciting cities in all of Europe. A city that celebrates creativity, performance and art in all forms, Liverpool is one of the UKs best cultural cities, and has a range of annual and one-off events taking place, such as the Giant Spectaculars of 2012 and 2014, which each brought over 300,000 visitors to the city, with more hopefully to come in the coming years. But no matter what time of year you go, there is bound to be something exciting and unusual happening in the Pool of Life. Here’s our pick of what to expect. One of the highlights of the sports calendar, the Grand National takes place at Aintree Racecourse every April. The most famous steeplechase in the world, the Grand National has been a fixture in Liverpool for over 170 years and regularly attracts over 100,000 racegoers over the three-day event. 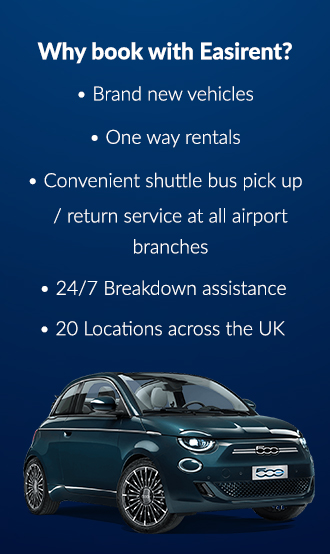 Aintree Racecourse is a 25-minute drive from Liverpool city centre, but bear traffic in mind on race days – If you are flying in to LPL (John Lennon) Airport then take a look at Easirent’s Liverpool Car Hire prices. May sees the start of Liverpool’s festival season, with the stand-out being the increasingly popular Sound City music festival. Unconventional in nature, Sound City takes place across two days in a host of venues all over town. Anywhere from bars, to clubs, to theatres to parking garages have hosted acts from across the globe including cult heroes the Flaming Lips and Belle & Sebastian amongst others. Art fans will want to immerse themselves during Light Night, the city’s one-night arts festival. Occurring every May, Light Night sees a range of free and ticketed events pop-up all over the city, from street parades and puppetry, to exhibitions, raves and performance pieces in a host of conventional and unconventional venues. Part of the national Museums at Night scheme, Light Night has showcased the best of British and international art since 2010 and is increasingly becoming one of the year’s must-see attractions. August sees Liverpool International Music Festival hit town. Setting up shop in beautiful Sefton Park, LIMF is a four-day celebration that regularly attracts around 200,000 visitors to the city. A replacement for the Mathew Street festival, LIMF is a celebration of live music, with a broad range of events, gigs and jams happening. Sefton Park is a 15-minute drive from Liverpool city. Beatles fans rejoice as August also sees International Beatleweek take place. A celebration of the Beatles (you may have heard of them) Beatleweek sees over 70 bands pay tribute to the Fab Four, centred around classic Beatles venues around Mathew Street like the legendary Cavern Club. One of the best festivals every year is Africa Oyé in June. A celebration of new and established African and Carribbean artists, Africa Oyé brings over 50,000 revellers to Sefton Park for great music and fantastic food from a number of authentic sellers and stalls. Africe Oyé has won many awards since its inception in 1992 and has a fantastic impact on the local economy. July sees carnival fever grip the city as the Brazilica festival takes place. A celebration of Brazillian arts and culture, Brazilica sees over 800 performers line the streets in eye catching costumes and on jaw dropping floats. The parade usually goes through the heart of the City, from the top of Hardman Street through Bold Street and beyond. It’s not all fun and games though, as June sees the International Business festival take place as over 200 world-class speakers from all sectors of business congregate to debate and discuss the nature of business and what we can do to shape the future of it. As the nights draw in and bowls of scouse get devoured at a rapid rate, Liverpool embraces the Autumn and convinces people to come out and play, whether the weather is on their side or not. As Halloween approaches the city gets spooky, with the Halloween Lantern Parade snaking through the city full of wonderful puppets, lights and performers that will delight people of all ages. September’s Liverpool Food and Drink Festival has been running for over 10 years and wowing crowds with a number of celebrated chefs, traders and cooks offering up all kinds of delicious culinary wonders. The festival takes place in Sefton Park, and has a range of activities for attendees of all ages. In November, Guy Fawkes night is commemorated with a range of public firework displays across all of Merseyside with the biggest and best being the River of Light display. With events happening on both sides of the Mersey, the River of Light is a huge celebration of colour and music, as the lauded River Mersey is awash with bangs booms and light. Crowds of over 50,000 have known to attend the events, so make sure to plan your day, and find a good spot early. If going over to neighbouring New Brighton’s promenade to see the fireworks against the backdrop of the stunning Liverpool waterfront, a drive usually takes around 25-minutes, but again bear high traffic volume and road closures in mind before setting off. Just because it’s colder doesn’t mean that music stops in Liverpool, as Liverpool Music Week takes place in October and November. A series of shows all around the city, LMW has been running for over 15 years and has seen everyone from disco funk legends Nile Rogers and Chic to cult favourites Mogwai grace the stage. LMW has won various awards over the years, including ‘Best UK Metropolitan Festival’ in 2016 and shows no sign of slowing down. November also sees the annual Homotopia festival take place. A celebration of LGBT cinema and culture, Homotopia takes place all over the city centre through a series of exhibitions, talks and discussions, cinema, art and more. Past guests include avant-garde cult film-maker John Waters and local LGBT icons such as Holly Johnson of Frankie Goes to Hollywood and drag queen Lily Savage. Being on the coast and overlooking the Irish Sea, Liverpool can be very cold in the winter, but don’t let that put you off sampling some of the events and cultural delights on offer. If in town around December, then expect to see a mass of red (and blue) Santa Clauses running through town as part of the annual Santa Dash. Over 10,000 father Christmases take part, raising money for charity and trying to beat their own personal bests. Why the blue Santa suits I hear you ask? That’ll be fans of Everton FC, who will never want to wear the red of Liverpool FC, no matter the occasion. The city centre becomes awash with the Christmas Market in the run up to the 25th, with a host of market stalls and pop-up pubs serving the many Christmas shoppers in town. Usually lining the main high street, other markets have been known to pop-up in Chavasse Park in Liverpool One, and in the historic St. George’s Hall on Lime Street. The end of the year sees the Liverpool International Horse Show take place at the 11,000 seater Echo Arena on the waterfront adjacent to the Albert Dock. Not just horses though, as the Echo has a full schedule of shows and events taking place all year round, everything from Little Mix and KISS to WWE wrestling and stand-up comedy giants like Liverpool’s own John bishop. The Echo Arena is a 10-minute drive from the centre of Liverpool. While the beginning of the year sees Chinese New Year celebrated in the city’s China Town are at the top of Duke Street. One of the oldest Chinese settlements in all of Europe, the Chinese New Year celebrations are an explosion of colour and fireworks, with traditional street displays and parades. Duke Street is a 10-minute drive from Liverpool city centre, but bear traffic and road closures in mind on the day.